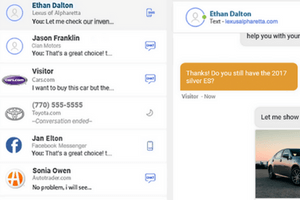 It’s now even easier for your team to connect and converse with shoppers via Contact At Once! That’s because we’ve launched CAO! Connect, a new, web-based answering app. If you haven’t jumped on it yet, now’s the time! Connect replaces your desktop app, and there’s no download needed. Just open a browser and log in. Keep the Connect tab open in the background as you work, and you’ll get in-browser notifications whenever conversations come in. 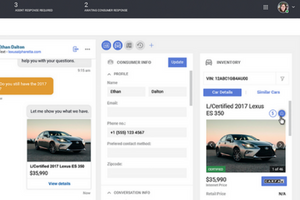 Agents can pull up this information within Connect to answer specific questions, share inventory recommendations, CarFax / CarProof vehicle history reports and more to come! These tools can help you guide shoppers down the purchase path. Have a multilingual customer base? 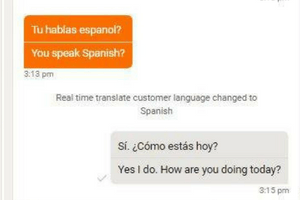 Your agents can type in the language they’re most comfortable with, and Connect will translate it to the language of the shopper (12+ languages supported). Agents will see both languages presented; the consumer will only see the conversation in their language. 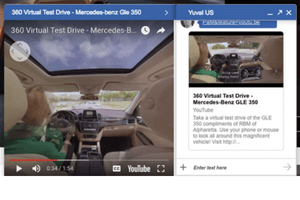 This enhanced video and rich media support displays a preview of the shared content directly in the conversation window. Tapping that preview will either open the content to play in a slide-out window or open a new web browser tab. Set a reminder, write a post-it note—whatever it takes! You might also want to set your mobile app to keep you logged in there, too, just in case you forget. Ready to put these (and more!) messaging capabilities to work for you? We’ve enabled Connect for all of our customers. So if you don’t have your login yet, it’s easy! New customers will automatically get set up with Connect. If you’re an existing customer, your admin (the person who manages your CAO! account) can “migrate” your agents (the people who answer the chats/texts) in the Portal. Here are the steps! Once agents are migrated, they will each receive an email with details on how to log in and start answering through Connect. You can chat or text with us for help or more information, right on this site, too! And don’t forget the training that will help you learn the new answering app layout and capabilities: Admin training and agent training are available online at your convenience! We hope you enjoy this new way to “Connect”!